Pickup from Railway Station/ Airport & depart for Mandi by surface approx. 225 Kms / 09 hrs. There are good restaurants in the way for breakfast & fresh up. Evening arrive in and check inn at the hotel. Evening will be at your leisure. Overnight at the hotel. 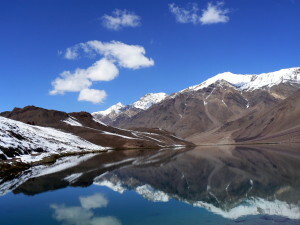 Depart for Manali by surface approx. 145 kms/5 hrs. There are scenic spots on the way like Pandoh Dam, Mandi, Kullu Valley, Beas River, And Darshehra Maidan. Evening you arrive in Manali and check inn at the hotel. Overnight at the hotel. Today you visit the Jagatsukh Gayatridevi Mandir and Naggar Art Gallery. Later in the afternoon you visit the Hidimba Temple, Manu Mandir & Vashisth Kund. Evening free at your leisure. Overnight at hotel.